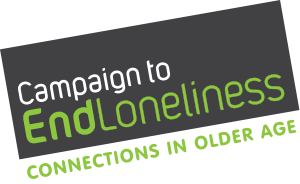 About: Viridian provides social housing and Active Online is their free Internet training scheme for residents aged 50 and over. The scheme provides free one-to-one training sessions in individual’s own homes, and no computer equipment or Internet connection is needed to participate, as trainers bring tablets with them. The project started with a pilot, which tested both one-to-one and group-based models of training, and trained 80 residents aged 50 and above. This has now been rolled out to all areas in which Viridian works. Two hundred and fifty residents have signed up since January 2014, and the target is to have 300 residents signed up by January 2015. The scheme now operates on a one-to-one basis only, as the pilot showed that this model worked better both for Viridian and its residents. Viridian works with two trainers: Student@Home (who provide the majority of the sessions) and UCanDoIT (who provide specialist support and technology for residents with additional needs, such as visual impairments, learning disabilities or dementia). The scheme is advertised widely through Viridian’s newsletters and website, through housing officers and scheme managers. Residents can also self-refer. Student@Home run ‘taster sessions’ at retirement schemes, and residents aged over 50 who do not live in retirement schemes are called directly to offer training. Viridian is committed to ensuring all customers have access to the training and therefore has invested in the Active Online project. The average cost per person during the pilot phase was £373, with an extra £90 per resident spent on purchasing a tablet. However the scheme no longer provides free tablets or Internet connection as it was found that after training, most residents were happy to buy their own equipment.